If you have even the slightest amount of an illegal drug in your system you can be charged with a DUI. Penalties are the same as a person driving with the highest Blood Alcohol Content in their system (0.16% or greater). Most people, and some doctors, believe that if you have a prescription it is permissible to drive a vehicle with the prescribed drug in your system. The issue becomes how much of the prescribed drug you have in your system. If the level of the drug renders you incapable of driving safely, you will be charged with a DUI. A DUI experienced Attorney can often defeat a DUI charge where prescription drugs are involved. 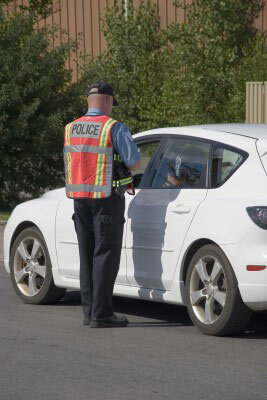 Pennsylvania uses a three level approach to DUI enforcement and treatment. This means there are different criminal penalties (fines and imprisonment), treatment requirements, and terms of license suspension. License suspension can a serious consequence of your DUI. You are looking at possible repercussions to your job, school, family life, your auto insurance, even your right to own a firearm. Learn more on our DUI Penalties page. What should you do? Contact Ronald Makoski today for your FREE consultation and evaluation.